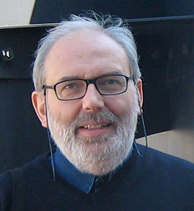 Renzo Orsini is Professor of Computer Science at “Ca’ Foscary” University of Venice, where he teaches databases and information systems. He got his degree in Computer Science from the University of Pisa in 1976. Over the years he has worked in the areas of computer aided design, programming languages for object oriented databases, exchange of data among databases and applications, databases for literary texts. He is one of the authors of the object oriented language for databases Galileo, well known in the research community (the paper on Galileo is among the first hundred most cited paper in the database area). His research results have been published on the most respected scientific journals, including ACM Transactions on Database Systems and Very Large Database Journal, as well as in important international conferences, like EDBT, VLDB. He partecipated to many research projects. He is member of the European Community funded Network of Excellence REWERSE (Reasoning on the Web, http://rewerse.net). Currently he is working on a project for textual databases, funded by Italian MIUR.